Merozyne Therapeutics has been established to develop a treatment for MDC1A, a severe form of muscular dystrophy. 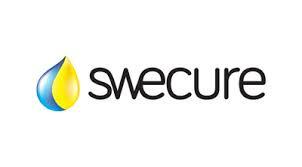 Swecure is a Swedish biotechnology company developing treatments for immunoregulatory disorders, such as allergy and IBD. SARomics Biostructures provides premium protein crystallization, protein crystallography and structure-based drug design outsourcing services. Gyros is a biotech company manufacturing laboratory instruments, consumables, kits and software to maximize laboratory productivity by miniaturizing and automating immunoassays at nanoliter-scale. BioThema is a Swedish company entirely devoted to ATP technology. BioThema develops, produces and sells reagents and kits for the measurement of ATP, mainly by the firefly luciferase reaction.